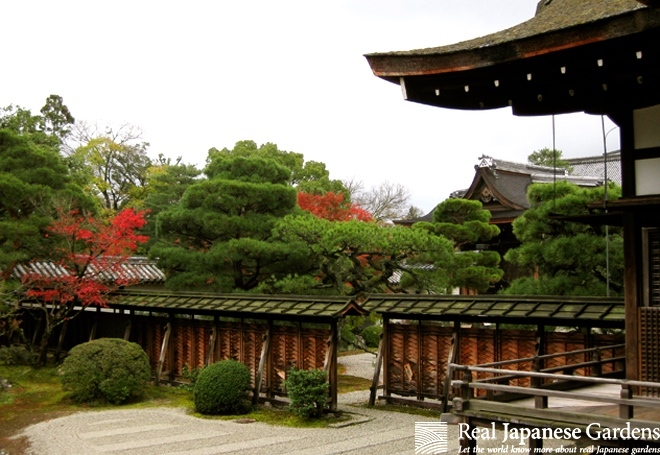 Ninna-ji is one of Kyoto's oldest temples. 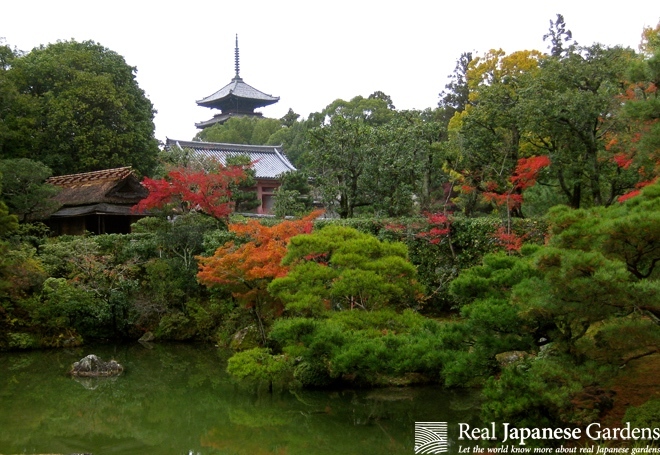 It was founded in 888 (Heian period) by emperor Oda. From that time on until the end of the Edo period (1603-1868), the position of the temple's head priest was always held by a son of a reigning emperor. Naturally, the temple was the center of the tennō's supporters, but lost influence under the ruling of the Muromachi shogunate in the Muromachi period. It burned down completely during the Ōnin war, but was rebuilt between 1641 and 1646. 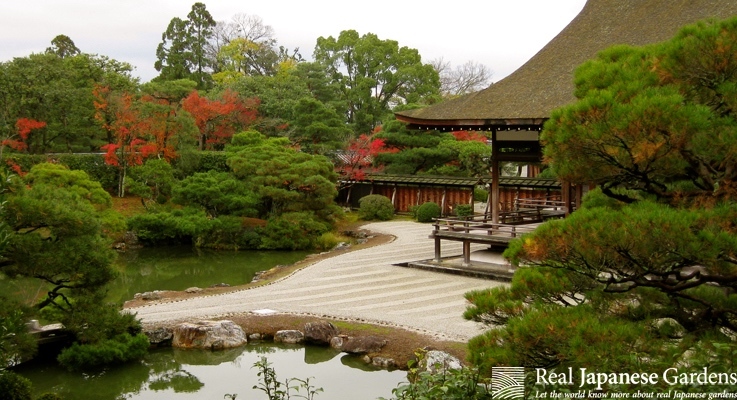 The garden in front of the Shinden was rebuilt in 1914. 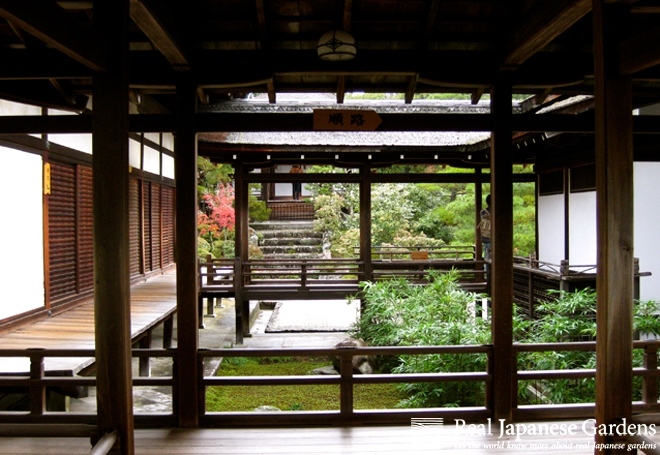 It has a pond and can be viewed from the veranda. 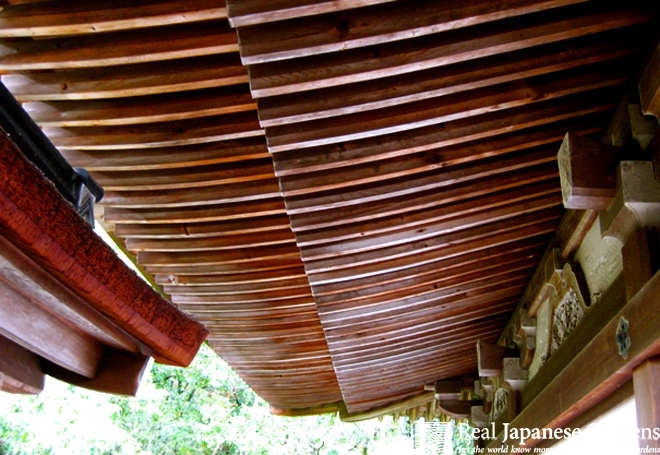 The buildings are all connected with covered walkways that are characteristic for Shinden style architecture, the architecture of palaces and aristocratic residences in the Heian period (794-1185). 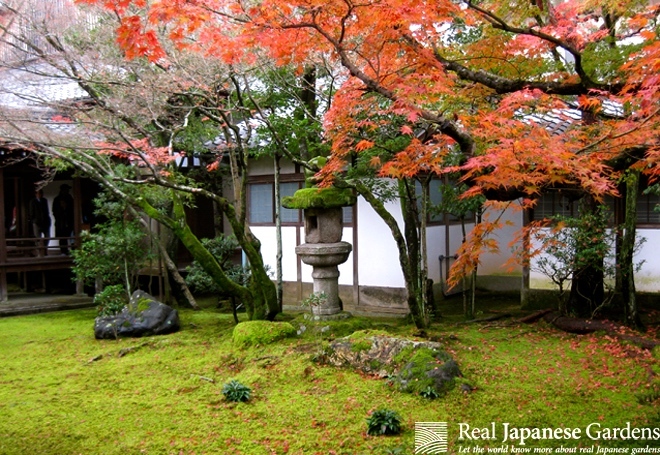 Although Ninna-ji is really close to tourist magnets like Ryoan-ji and Myoshin-ji, it has significantly less visitors. The buildings and gardens are well-maintained and some superior artwork is on display on the sliding doors in the study room. 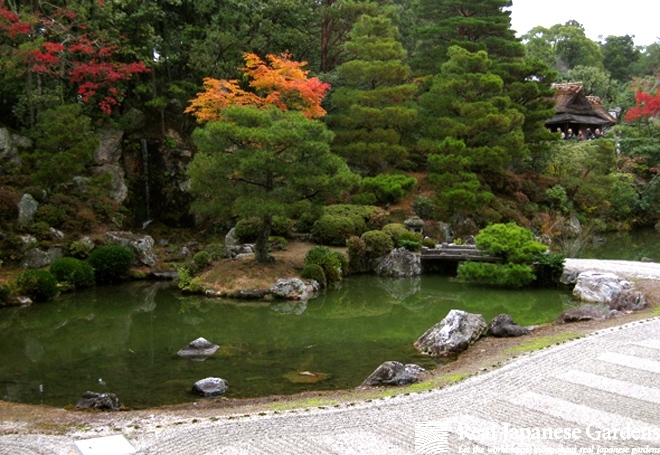 Take the Kyoto city bus 8, 10, 26 or 59 to the stop Omuro-Ninna-ji and walk in northern direction.